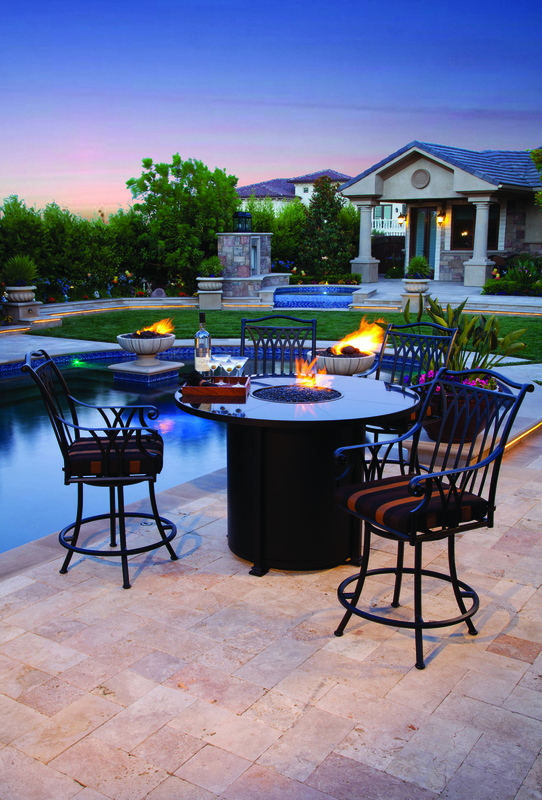 A firepit provides a great gathering place for people to partake in conversation. And while a traditional firepit will amp up the atmosphere, a bar-height firepit will add that extra wow factor. Below are a couple of examples that show exactly how barheight firepits add glamour and spark to an outdoor space. OW Lee’s counter-height Santorini firepit is 54 inches wide and sits 38 inches high. It offers beautiful fireside ambience and is designed for outdoor dining and entertaining. The firepit uses propane and comes with a natural-gas converter. The hearth top is designed to sit inside a captured rim, which allows the firepit to be transported as one unit. 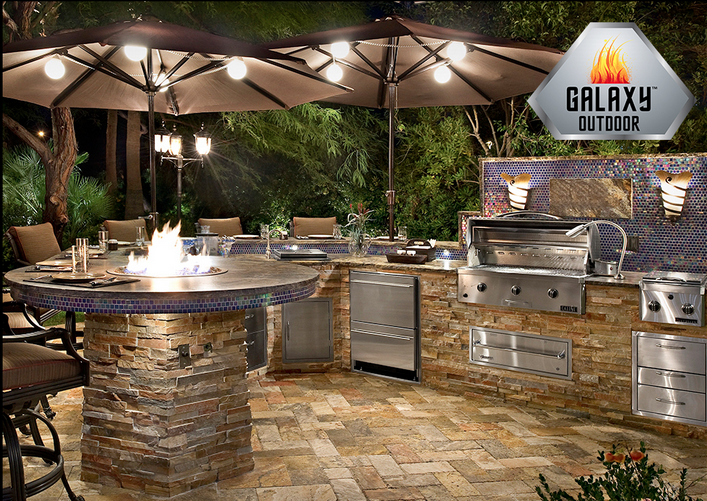 Galaxy Outdoor is the largest manufacturer of custom-built outdoor kitchens and seating bars in the United States and Canada. All of the material used in the construction is made in the United States, and 100% of the products are built in Las Vegas, Nevada. All cabinets, bars, and firepits are constructed of 12-gauge, #120 galvanized tubing and are welded together. No screws are used in assembly of the frames. Each section is designed to be bolted together and is self-aligning for easy installation. Galaxy Outdoor offers everything needed to make outside entertaining an experience that your customers will love.